Democrats regained the U.S. House of Representatives in Tuesday's midterm elections, while Republicans maintained control of the Senate – a rebalancing of power likely to bring both certainty and opportunities for healthcare. "Healthcare was a voting issue for this election," said Samantha Burch, senior director of congressional affairs at HIMSS. Let's take a look at what Tuesday night's results mean for healthcare policy and technology. "The ACA — that was settled last night," Burch said. "Now there's an opportunity to work on issues that haven't been worked on. But 'repeal and replace' is a relic of the previous Congress." "Healthcare providers stand to benefit from successful efforts to bolster individual and group markets, even as device and pharmaceutical manufacturers could find themselves more at risk for scrutiny as attempts to control rising healthcare costs focus increasingly on drug prices," analysts wrote in a post-election wrap-up. 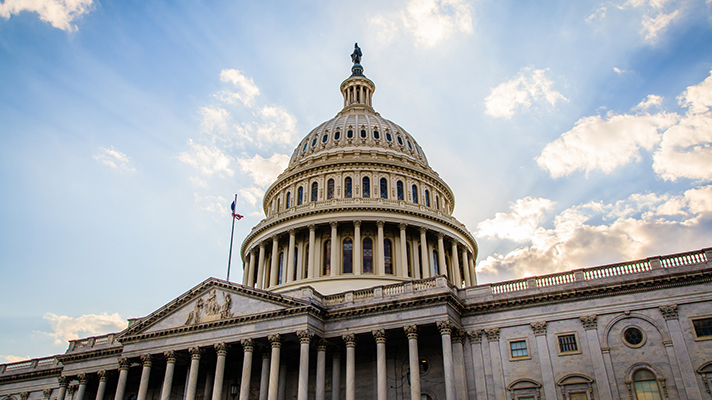 "Without control of the Senate, Democrats will be unable to send any sweeping legislation such as Medicare-for-All, or even a restoration of the individual mandate, to President Trump's desk for veto," said Yulan Egan, Practice Manager at Advisory Board. "That presents some opportunity because to an extent the House and Senate will have to work together," Burch added. "The first thing that always comes to mind is infrastructure." "An infrastructure package has been talked about by the White House," Burch said. "There could be a place for health IT priorities in some sort of legislative package for infrastructure improvement." "The two parties share several areas of focus for the next two years: advancing transparency, scrutinizing consolidation, and bolstering rural healthcare facilities," Egan said. "Providers should expect such consequential, if unheralded, cooperation to continue." Tuesday's election was also historic with at least 100 women earning a seat in the House and an increase in diversity, including the first female Native American and Muslim representatives. "What we're going to see is a more diverse Congress and with diversity comes opportunity," Burch said. "The 116th congress is going to be a diverse group of lawmakers." Granted, it's too early to tell how the new mix will or will not directly have an impact on women in health IT, as we still need to understand who the new players are what perspectives they bring to the government. "There were so many dynamics to what happened last night, it's going to take a while to peel back the onion and see how it translates into action on the part of members in the next congress," Burch said. "Efforts to increase transparency, shift care to lower-cost settings, and reward providers for value are here to stay, both leading up to 2020 and beyond," Egan said. "Meanwhile, players in the private sector – including assertive health plans, activated employers, and outside disruptors – are coming to the forefront in attempts to apply pricing pressure above and beyond efforts from the federal and state governments."